Home Dining FREE BEER AND CHEESE!? Guys. Listen. No, really. Listen. THERE IS FREE BEER. (or bier) AND CHEESE. tonight. Oh my. You should totally fit this into your after work plans. If you haven’t gotten enough from the free samplings, we definitely recommend trying some of the other offerings at Astoria Bier and Cheese. Their ScharfeMaxx with Prosciutto grilled cheese is a thing of beauty, and you should definitely ask for the best beer to go with it. Also, if you think you know BLT’s, you haven’t tried Astoria Bier and Cheese’s. So good. Get the avocado. 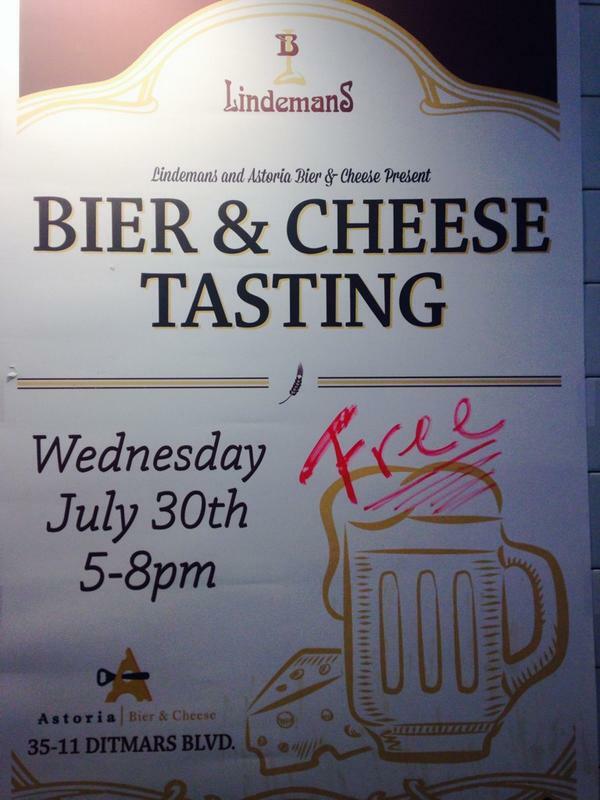 Keep in mind – the free tasting is JUST at the Ditmars location today! Next articleThe 2014 Exhibition by the High School to Art School Summer Class!